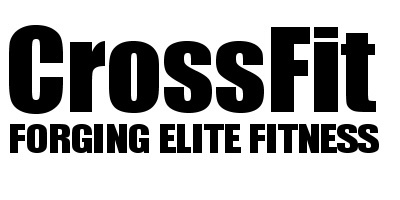 CrossFit CHALKBOX | Exercise is king. Nutrition is queen. Together you have a kingdom. “Oh wonderful” I hear you say (perhaps with an eye roll) “… if that is the case, how on earth do I know what I need to eat?”. I promise it isn’t as tricky as it sounds. There are basic principles we can all follow – and then fine tune until we find what is ‘right’ for our own individual needs and lifestyles. The amount we eat is important. But so is what we eat. In other words, the calories!! Eat too much, you gain weight. Eat too little, you lose weight. People typically focus on whether they are eating too much, but you might be surprised to know that sometimes your ideal calorie intake to maintain optimum weight and performance may be greater than you currently eat!! If you are undereating you may not be able to train and perform as hard, thus reducing your energy output compared to what you are capable of, and you may be experiencing what is colloquially called ‘metabolic adaptation’, where the body conserves energy by reducing energy output in non-exercise activity and metabolism – including simply fidgeting less!! You can estimate how much energy you need based on your age, gender, height, weight and activity level, and then optimise this through trial and error – if you increase or decrease calories compared to the estimate, what is the impact on weight, energy, and performance? Beyond total calories, how you split your total calories across protein, fats and carbohydrates (the macronutrients) is also important. The body uses these to release energy in different ways, and the role they have as the building blocks of our body also differs. Carbs typically fuel high intensity activity, and fats typically fuel lower intensity exercise. We typically avoid using protein for energy, as we need it to maintain, repair and grow our body tissue – it is an energy source when we exhaust our other fuel supplies. To fuel effectively, you typically need a mix of all three. No macronutrient should be demonized … but there are of course more and less nutritious options for each!! As well as calories and macros, optimal health requires appropriate hydration, vitamins and minerals, and other stuff that promotes gut health. Water, vitamins and minerals are needed for, well, pretty much everything. They are needed to release the energy from food, turn food into the building blocks for our body, keep our immune system functioning, carry oxygen … the list goes on! And then there is the other stuff that promotes gut health. Fibre, to ensure our food passes along our digestive system smoothly and with limited harm to our gut lining, and the prebiotics and probiotics that help support a healthy gut biome (the bacteria that live in our gut and play a role in digestion, and also immunity, hunger and potentially much more). Yes, if you get to the science there is a lot to think about. But if you follow the old adage of eating a varied diet rich in unprocessed foods, including a variety of proteins, fats, and carbohydrates (with fruits and veg of every colour under the sun!) you will be well on your way to eating well! A 5 minute to prep and 20 minute to cook healthy crispy battered fish (yes, really!) recipe, rich in micronutrients and unprocessed macros, for you here.